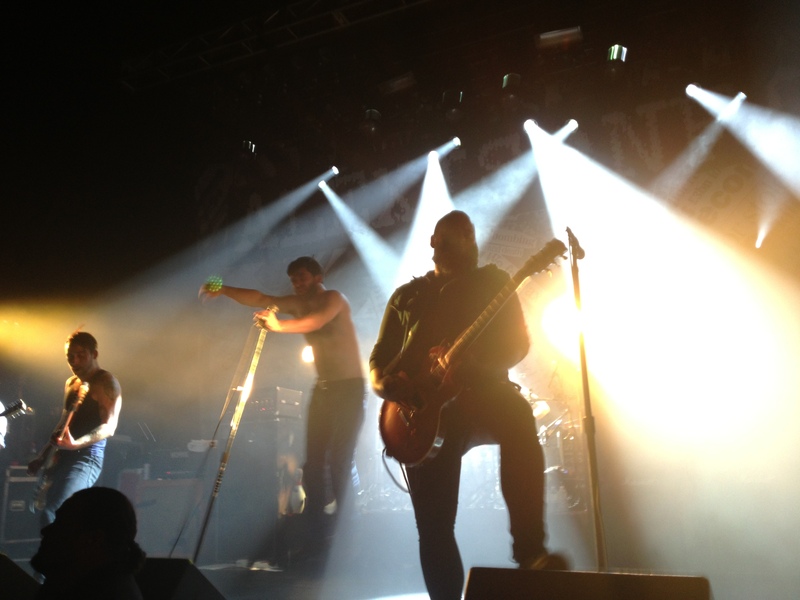 Alexisonfire at Sound Academy Dec. 29, 2012 (their second-last show ever). It’s that time of the year when everyone tries to take stock of the chaos of the past 12 months, so for the sake of documentation, I’ve made a list of all the bands I managed to catch in 2012. I was only offered a short sample of some of these acts at festivals, but a lot were at shows of their own. There were also a lot of really stand-out performances in this mix and it’s coincidentally the great time of annual top 10/20/25/50/whatever lists, so maybe I’ll get around to picking out some of my favourites as well. This entry was posted in Burden of Salt and tagged 2012, 50 Cent, Action Bronson, Alexisonfire, Arctic Monkeys, AWOLNATION, Bad Religion, Ben Caplan, Black Label Society, Black Lips, Cancer Bats, Ceremony, concerts, Dan Mangan, Death Grips, Deftones, Descendents, DIANA, Dillinger Escape Plan, Dr. Dre, Eminem, Explosions in the Sky, Feist, Florence + the Machine, Fucked Up, Ghostface Killah, Girl Talk, Goatwhore, Godspeed You! Black Emperor, Gogol Bordello, Greg Ginn and the Royal We, GWAR, Hollerado, In Flames, Jimmy Cliff, Justice, Kids & Explosions, Killer Mike, Less Than Jake, Lowlands, Madness, Marilyn Manson, Mazzy Star, MellowHype, Metz, Moneen, Noel Gallagher's High Flying Birds, NOFX, OFF!, Protest the Hero, Pulp, Radiohead, Raekwon, Refused, Rival Schools, Shotgun Jimmie, Slipknot, Snoop Dogg, Squeeze, Suicidal Tendencies, System of a Down, Teenage Head, The Buzzcocks, The Flaming Lips, The Hives, The Wooden Sky, Tim Armstrong, Tool, Trash Talk, Tupac, USS, Wiz Khalifa on December 31, 2012 by Tom Beedham. Does your blog have a contact page? I’m having trouble locating it but, I’d like to send you an email. I’ve got some ideas for your blog you might be interested in hearing. Either way, great website and I look forward to seeing it expand over time.